1 image. 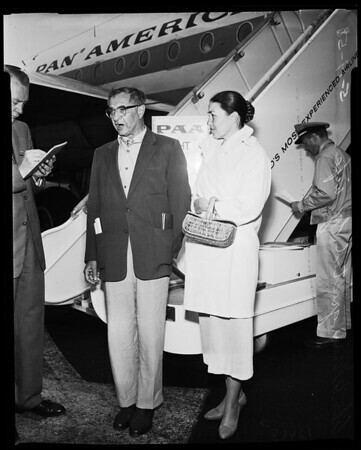 Arrival at airport, 19 March, 1958. Mr. and Mrs. Abe Wirin.